Healthcare organizations, compendia, and drug knowledgebase vendors use varying methods to evaluate and synthesize evidence on drug–drug interactions (DDIs). This situation has a negative effect on electronic prescribing and medication information systems that warn clinicians of potentially harmful medication combinations. The aim of this study was to provide recommendations for systematic evaluation of evidence for DDIs from the scientific literature, drug product labeling, and regulatory documents. A conference series was conducted to develop a structured process to improve the quality of DDI alerting systems. Three expert workgroups were assembled to address the goals of the conference. The Evidence Workgroup consisted of 18 individuals with expertise in pharmacology, drug information, biomedical informatics, and clinical decision support. Workgroup members met via webinar 12 times from January 2013 to February 2014. Two in-person meetings were conducted in May and September 2013 to reach consensus on recommendations. We developed expert consensus answers to the following three key questions. (i) What is the best approach to evaluate DDI evidence? (ii) What evidence is required for a DDI to be applicable to an entire class of drugs? (iii) How should a structured evaluation process be vetted and validated? Evidence-based decision support for DDIs requires consistent application of transparent and systematic methods to evaluate the evidence. Drug compendia and clinical decision support systems in which these recommendations are implemented should be able to provide higher-quality information about DDIs. The online version of this article (doi: 10.1007/s40264-014-0262-8) contains supplementary material, which is available to authorized users. This project was funded by the Agency for Healthcare Research and Quality (AHRQ) Grant No. 1R13HS021826-01 (Malone DC-PI). RDB received support to contribute to this project from AHRQ Grant No. K12 HS019461-01, National Library of Medicine Grant No. R01 LM011838-01, and National Institute of Aging Grant No. K01 AG044433-01. Additional support was provided by Cerner, Elsevier Clinical Solutions, Epocrates, athenahealth, Inc., FDB (First Databank, Inc.), Truven Health Analytics, and Wolters Kluwer. The authors would like to thank Alissa Rich for her participation in workgroup discussions and Loretta Peters for her editorial assistance in preparing this manuscript. We would like to acknowledge that John Horn developed the Drug Interaction Probability Scale that is recommended for use in evaluating drug interaction case reports. Lisa E. Hines, Mary Brown, and Amy J. Grizzle have no conflicts of interest to report except for grant support and travel support from the University of Arizona. Richard T. Scheife, Richard D. Boyce, John Horn and Jeremiah D. Momper have no conflicts of interest to report except for travel support from the University of Arizona to attend workgroup meetings. Christine D. Sommer is an employee of FDB, which supported the travel to workgroup meetings and reviewed the manuscript during business hours. Stephen J. Sklar is an employee of Wolters Kluwer, which provided a portion of financial support for this project and provided support for his travel to meetings. Sophie P. Chung and Susan Comes are employees of Epocrates, athenahealth, Inc., which paid for their travel to workgroup meetings. Gretchen Jones was employed by Epocrates, athenahealth, Inc., which paid for the travel to meetings, and she holds stock in that company. Clarissa Borst is an employee of Elsevier, which provided support to the conference. Daniel C. Malone received support from the University of Arizona to conduct this project, which was partially funded by a conference grant from the Agency for Healthcare Research and Quality. Michael A. Wittie, Darrell R. Abernethy, Samantha K. Wong and Tricia Lee Wilkins have no conflicts of interest that are directly relevant to the content of this study. Centers for Disease Control and Prevention FASTSTATS—Emergency Department Visits. 2012. US Department of Health and Human Services. [cited 12/06/2013]; Available from: http://www.cdc.gov/nchs/fastats/ervisits.htm. Centers for Disease Control and Prevention FASTSTATS—Hospital Utilization. 2010. US Department of Health and Human Services. [cited 12/06/2013]; Available from: http://www.cdc.gov/nchs/fastats/hospital.htm. Centers for Medicare and Medicaid Services. Eligible Professional Meaningful Use Core Measures: Measure 2 of 15. 2010. US Department of Health and Human Services. [cited 01/09/2013]; Available from: http://www.cms.gov/Regulations-and-Guidance/Legislation/EHRIncentivePrograms/downloads/2_Drug_Interaction_ChecksEP.pdf. Food and Drug Administration. Title 21–Food and Drugs Chapter I–Food and Drug Administration; US Department of Health and Human Services Subchapter D–Drugs for Human Use. 2013. [cited 7/28/14]; Available from: http://www.accessdata.fda.gov/scripts/cdrh/cfdocs/cfcfr/CFRSearch.cfm?fr=320.33. Food and Drug Administration. 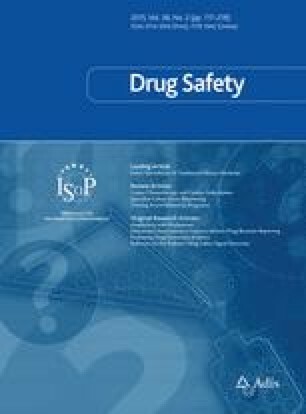 Guidance for industry: drug interaction studies—study design, data analysis, and implications for dosing and labeling recommendations: draft guidance. 2012. US Department of Health and Human Services. [cited 12/1/2014]; Available from: http://www.fda.gov/downloads/drugs/guidancecomplianceregulatoryinformation/guidances/ucm292362.pdf. Food and Drug Administration. Information for Healthcare Professionals on FDA’s New Prescribing Information for Drugs. US Department of Health and Human Services. [cited 10/29/10]; Available from: http://www.fda.gov/Drugs/GuidanceComplianceRegulatoryInformation/LawsActsandRules/ucm084189.htm. Grade Working Group. [cited 7/28/14]; Available from: http://www.gradeworkinggroup.org/index.htm. The University of Liverpool. HEP-Drug Interactions. [cited 12/1/14]; Available from: http://www.hep-druginteractions.org/. The University of Liverpool. HIV-Drug Interactions. [cited 12/1/14]; Available from: http://www.hiv-druginteractions.org. Horn JR, Hansten, Philip D. “Classy” drug interactions. Pharmacy Times. 2005. [cited 12/1/14]; Available at: http://www.pharmacytimes.com/publications/issue/2005/2005-06/2005-06-9585.